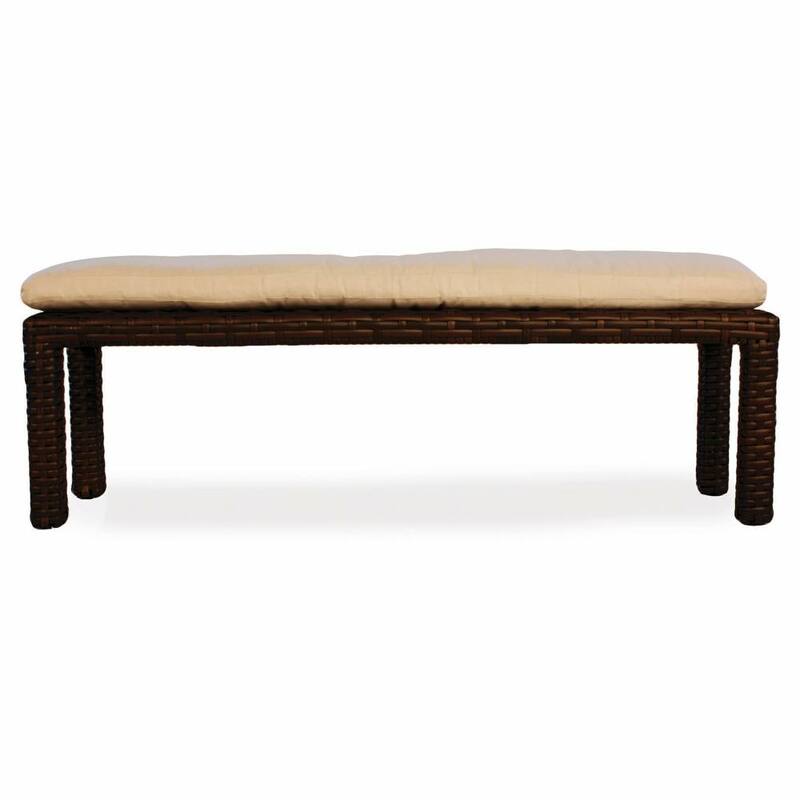 Outdoor wicker bench for dining or just sitting at a table. It's long 60" length is perfect for long rectangular tables. Use with wicker or teak furniture. Use it on it's own or combine it with other Contempo pieces to from a modern patio seating group. 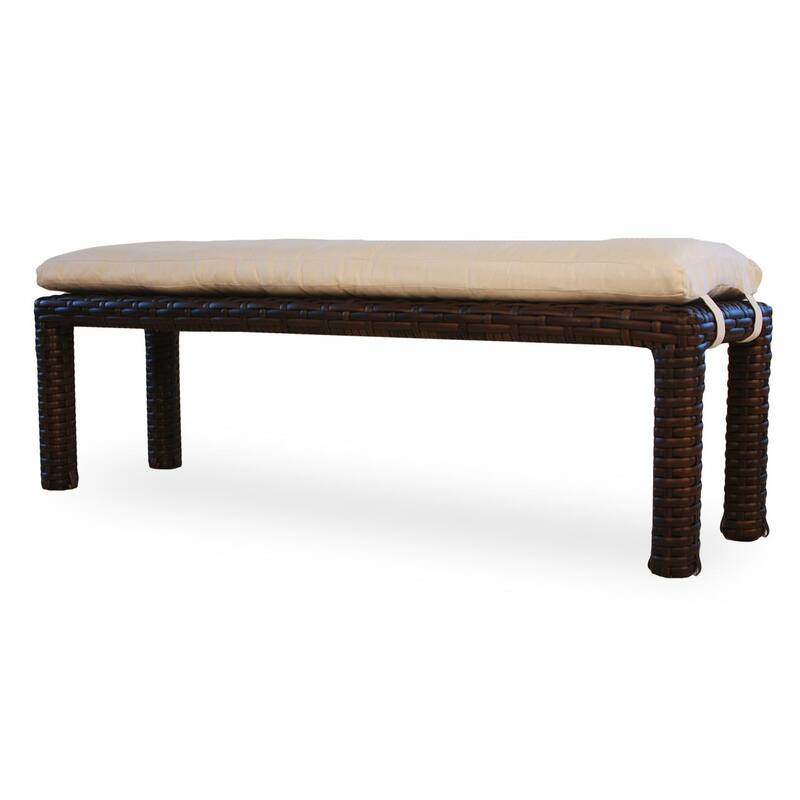 Use with or without an optional bench cushion. It's modern style and design offer the best for today's decor. 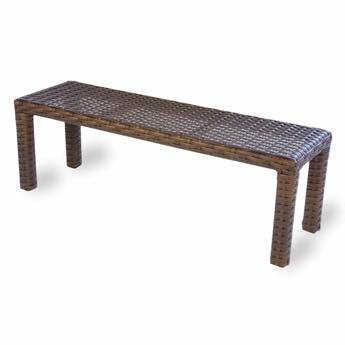 This outdoor resin wicker sectional piece is designed from 100% pure virgin vinyl and topped off with Sunbrella® cushions for the best all around outdoor furniture you can find. Choose from a wide variety of Sunbrella premium fabrics.